144 mins. Rated PG-13 for extended sequences of intense fantasy action violence, and frightening images. Let’s just take a moment to appreciate the work that Peter Jackson (The Lovely Bones, King Kong) and his creative team has accomplished. 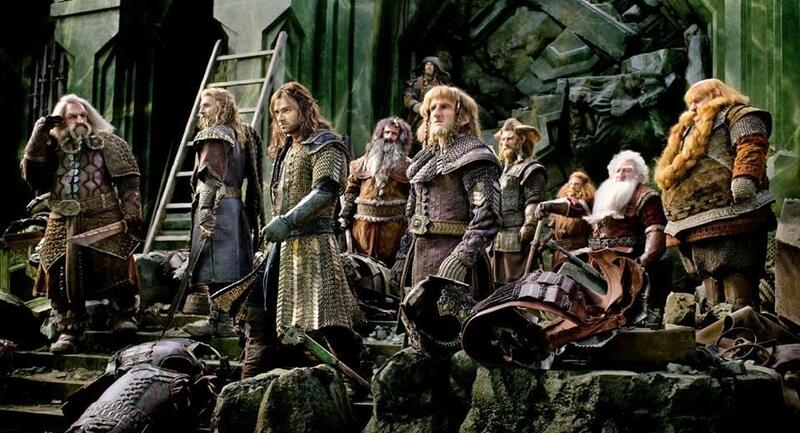 Six films, two trilogies, and hours upon hours of extended editions have comprised the Middle-Earth Saga. Bilbo Baggins (Martin Freeman, TV’s Sherlock, Hot Fuzz) and the company of dwarves have just let the diabolical Smaug (Benedict Cumberbatch, The Imitation Game, Penguins of Madagascar) loose on Lake Town. It’s up to Bard (Luke Evans, Dracula Untold, Fast & Furious 6) to stop the evil dragon and reclaim their lives. Tempers soon flair up as the treasures of Erebor are up for grabs and Thorin (Richard Armitage, Captain America: The First Avenger, Into the Storm), consumed by greed, has decided not to honor the agreement made with Bard and his people. Meanwhile, Gandalf (Ian McKellan, X-Men, The Prisoner) continues his battle against the dreaded Necromancer. The finale to The Hobbit trilogy is a far different film from its predecessors, and with a very simple plot, revolves entirely around the Battle of the Five Armies, one of the biggest battles in Middle-Earth history. It is very similar to Harry Potter and the Deathly Hallows Part 2, where the entire film revolves around the climactic ending as opposed to standing on its own. It is definitely my sixth favorite Middle-Earth film. Ian McKellan is a torn Gandalf here, caught between his allegiance to the Company of Dwarves and his commitment to reason and peace. McKellan continues to impress. Evangeline Lilly (TV’s Lost, Real Steel) is great as Tauriel here, the elf who has developed feelings for the poisoned dwarf Kili. Her relationship with Legolas (Orlando Bloom, Pirates of the Caribbean: The Curse of the Black Pearl, The Three Musketeers) and his father Thranuil (Lee Pace, TV’s Halt and Catch Fire, Guardians of the Galaxy) are further delved into in this film and helps to increase her internal and external conflicts as the story progresses. As far as the Company of Dwarves, we get more great but wholly underutilized work from Ken Stott (Shallow Grave, One Day) as Balin, the dwarf who will one day claim Moria, and James Nesbitt (Coriolanus, Match Point) as Bofur, the dwarf who, above all else, just wants his home back. I also loved the continual references to future events and foreshadowing from The Lord of the Rings, like the cameo appearances from Cate Blanchett (The Curious Case of Benjamin Button, How to Train Your Dragon 2), Ian Holm (Ratatouille, Lord of War), Christopher Lee (Star Wars: Episode II – Attack of the Clones, Dark Shadows), and Hugo Weaving (The Matrix, Cloud Atlas). My only major issue was that I wanted more. 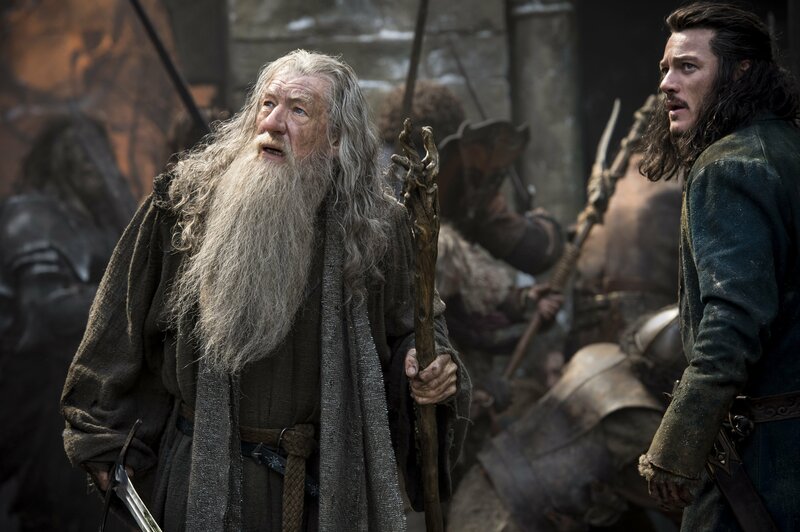 Tolkien fans will know that Balin ends up in Moria with Oin, we know that Gloin has a son named Gimli, we know Saruman’s fate, but I wanted to see more in this film. Director Jackson continues to prove he can handle action and large-scale battle sequences, the action here is incredible. His cinematography mixed with the amazingly well-put-together sequences, and Howard Shore’s deep and thunderous score. It took me a while to really enjoy Billy Boyd’s final song, “The Last Goodbye,” but once I did, I really felt it tied together not just this film, but the trilogy and in fact the entire saga. If you get the chance to watch Benedict Cumberbatch’s performance capture for Smaug and the Necromancer, do it. He is incredible to watch even without the CGI placed over it. 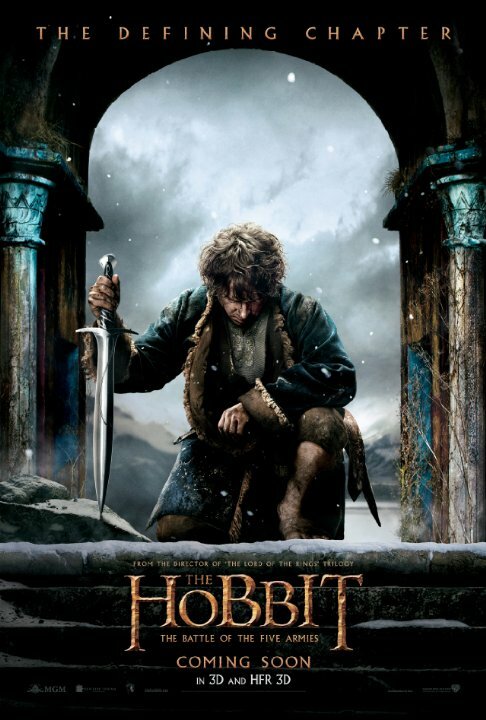 The Hobbit: The Battle of the Five Armies isn’t Jackson’s best work, but it certainly is a perfectly fine finale to an epic series. I feel like the theatrical cut of the film is missing some key details, and I hope that the extended cut has the ability to expand this on the film and show us some more connective tissues.